The wonderful thing about sports is the thought that at any time something remarkable might happen. Such was the case in the Class 2A gymnastics state meet on Saturday night. Champlin Park’s amazing Chaney Neu added an entire chapter to her growing high school saga when she scored the first perfect 10 in the 45-year history of the state meet. They knew they’d just witnessed greatness. A Yurchenko layout is a roundoff cartwheel onto the springboard, followed by a complete flip off the vaulting table with the body fully extended. 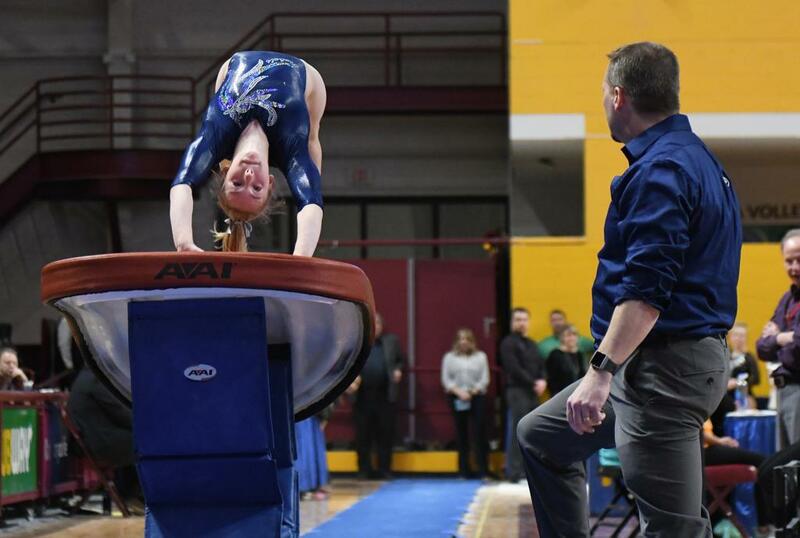 While it’s the first 10.0 in state meet history, it’s not the first time in Minnesota high school history that a gymnast has been awarded a perfect score in a single event. Park of Cottage Grove’s Kayla Land scored a 10 in the floor exercise in the 2007 Class 2A, Section 3 meet, and White Bear Lake’s Kendra Klein did it in the floor exercise in a regular-season meet in 2006. Greatness was expected of Neu, who, despite being just a 10th-grader (there’s that number again), already has two Class 2A all-around championships to her credit. She cruised to the all-around title, winning the uneven bars with a 9.7 and the floor exercise with a 9.725 in addition to the vault title. By the time she took the balance beam for her final event, the only question was how good her all-around score might be. Not surprisingly, she finished with a 9.7, completing a sweep of the four events and finishing with a 39.1, the first score above 39 since Eagan’s Stephanie Benson set the state record with a 39.325 in 1999. Neu becomes the fifth gymnast in state history to win three straight all-around championships, and she still has two years of high school eligibility remaining. Only one gymnast, Mahtomedi’s Mindy Myhre, has won four in a row, from 1991 through 1994.